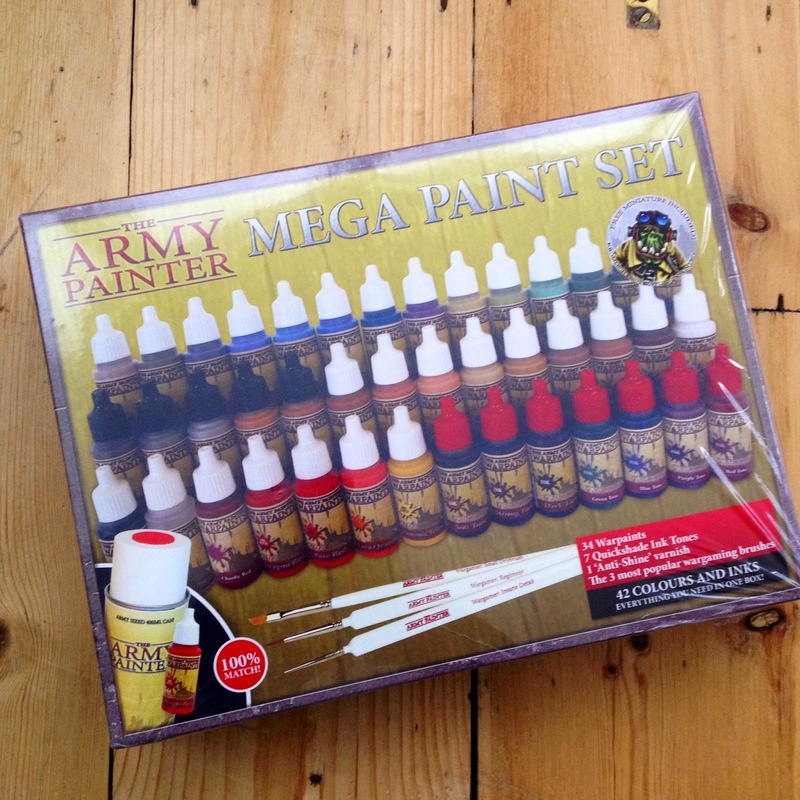 It's been a long time coming, but my budget finally allowed me to shore up my increasingly scrappy paint collection. I just need some cheap grey hobby acrylic to use as primer and I'm all set. I chose this set as I prefer dropper bottles, it comes with some brushes, I love the washes, and it was relatively cheap as bundles go. Onward!